I graduated from college more than a few years ago, but this weekend was the first time I participated in any Homecoming activity. I don't live too far from my alma matter, but I tend to get too caught up in life and its obligations to enjoy homecoming festivities. 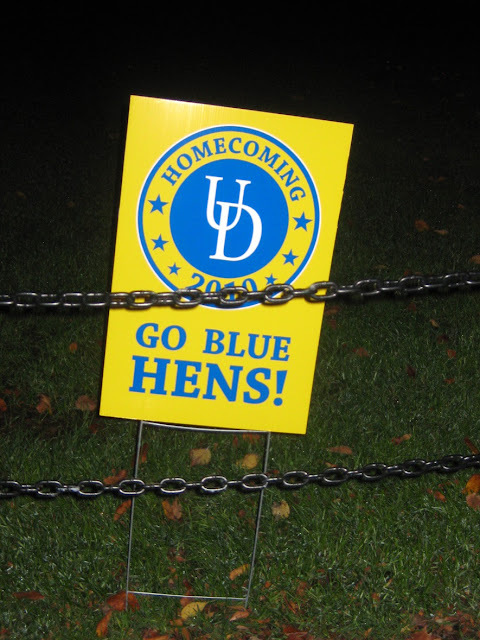 I decided to attend an activity this year because three of my blogger friends are also graduates of the University of Delaware, so it was a great excuse for a blogger get-together. 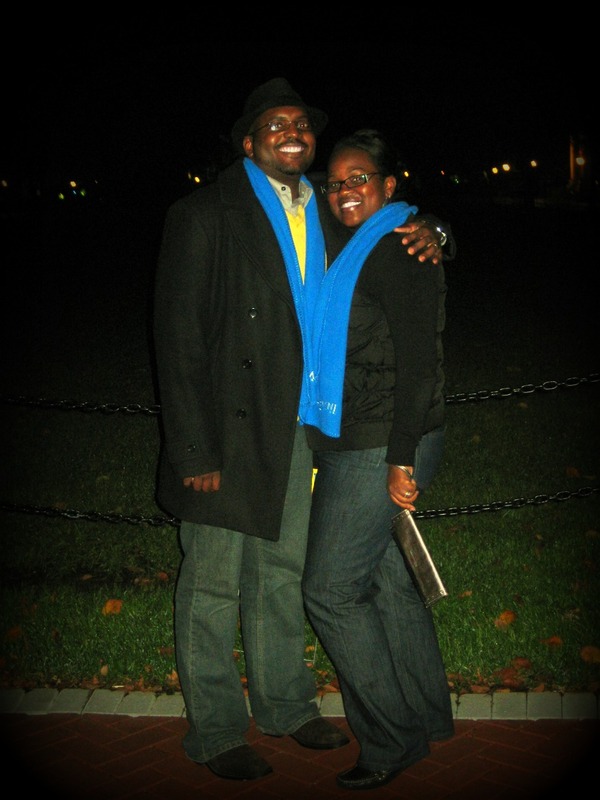 We chose to meet up for Blue Hens on Main where we donned our complimentary alumni scarves and headed out for a late evening of junk food and drinks. 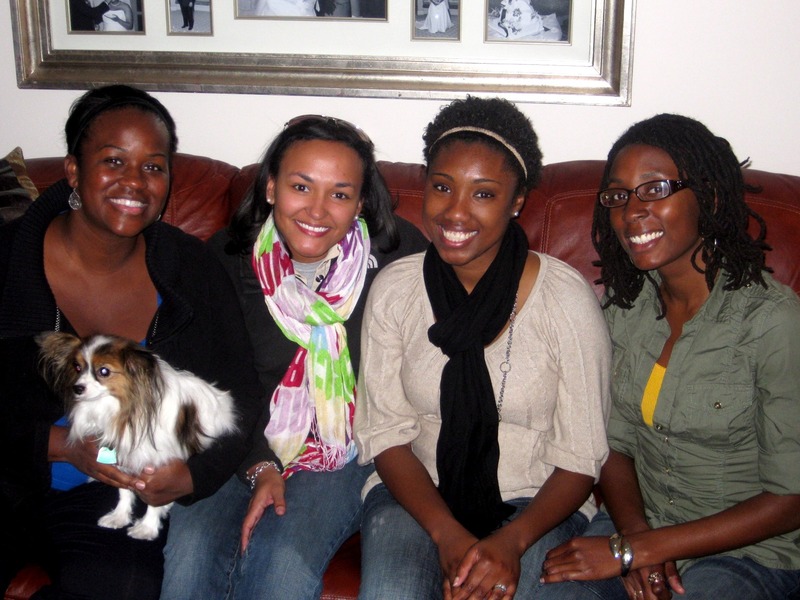 I remember Latoya from college, but Bernadette and Hillary were new friends (although we all read each other's blogs). We visited a few restaurants and bars, tried a few signature drinks, and ate some unhealthy junk food. I stayed up way past my bedtime and we ended the evening with an alumni breakfast buffet on campus. 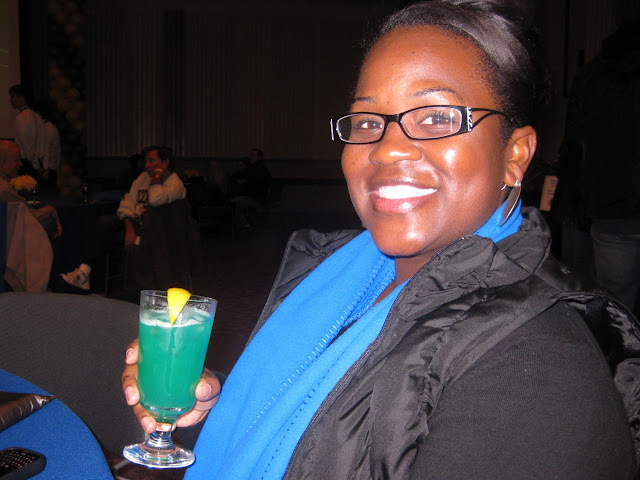 The Blue Hen Cocktail (blue curacao, coconut rum, pineapple juice) was the signature drink. E was the only guy in the group, hope we didn't drive him crazy! 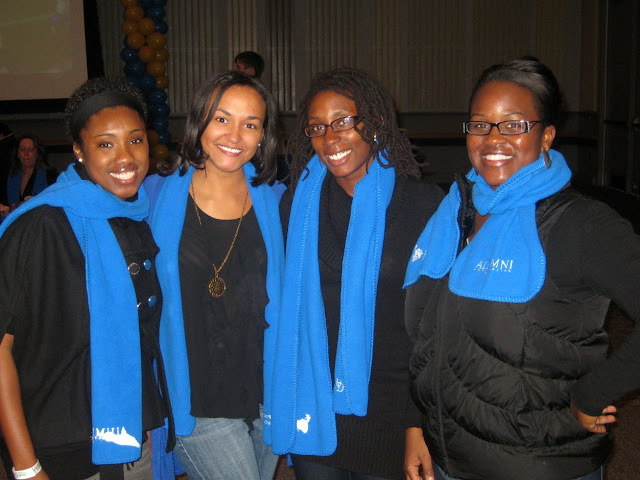 Some random dude asked if we were in a sorority because we all had matching scarves. No, we're not in a sorority, we're just a group of alumni trying to relive our days of staying out late and walking the streets on campus! I learned that I can't eat junk late at night or stay up past midnight anymore... I'm still tired! The following day Nadette, Hillary, and Latoya came over to my house where we enjoyed some bacon macaroni and cheese (the best I've made, so I'll need to update that recipe). Zelda just wouldn't look at the camera! Zelda and Milo loved Hillary... I'm sure her dogs will love knowing their mommy was hanging with other pups! I had a fun weekend... now I just need to catch up on my sleep and get ready to have a productive week! Hope everyone else had a great weekend! Wanna hear Nadette's take on our homecoming weekend? Read about it here. Latoya had a little something to say, too. Check her out here. Keeley, I had so much this weekend! We must do it again:-) I am definitely trying that recipe because I love carbs and cheese. I think I'm going to try the chicken and broccili version. Thanks, everyone! Yes, it was a ton of fun! I had such a great time, and I'm still dreaming of that mac n cheese. I can't wait to do it again! Love these photos. You look so happy.